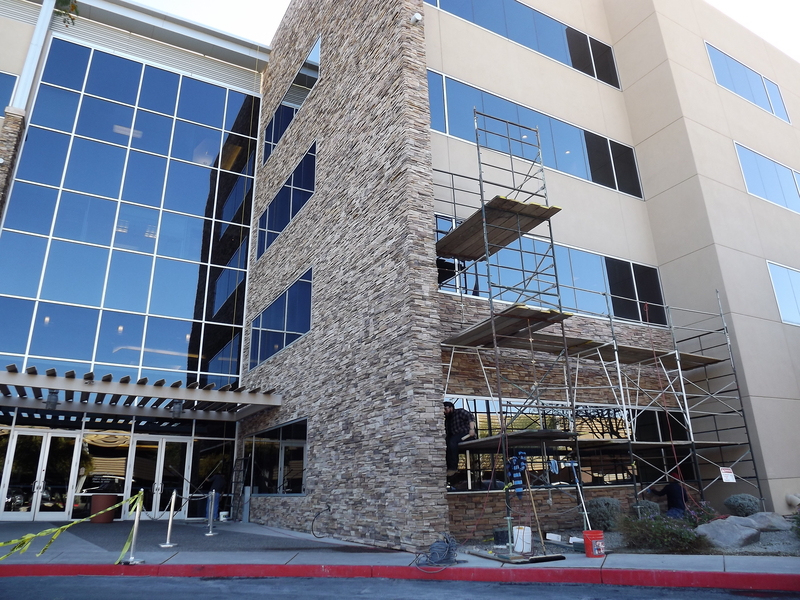 Desert Ridge suffered from a complete failure of the veneer applied manufactured stone due to improper installation. 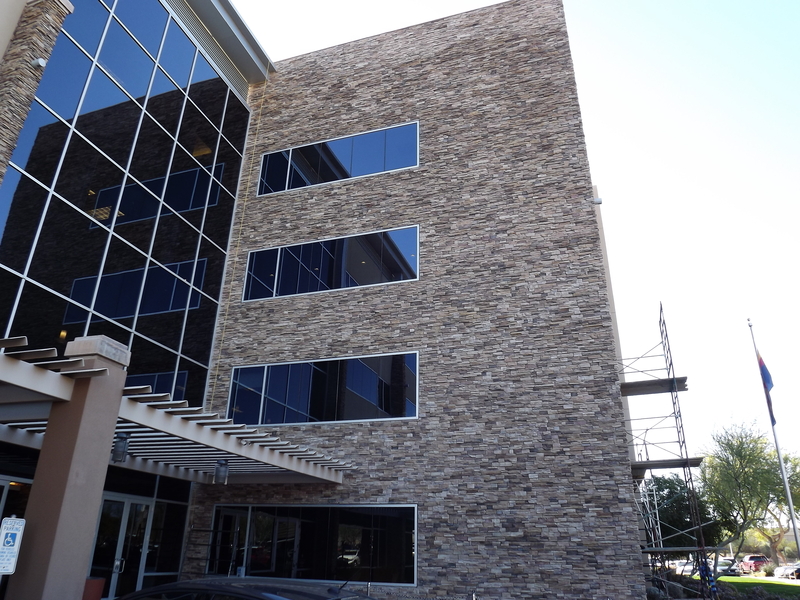 We were employed to remove the existing stone and repair the sub-straight and reinstall a combination of new and salvaged stone on two identical buildings this project was completed in a very tight time line, reinstalling over 14,000 s.f. of stone. We erected 6 stories of scaffolding and removed the stone in its entirety – next the substrate was inspected for failure and found to be in acceptable condition – the substrate required patching in areas this was completed after priming the surface using masons mortar to smooth the substrate – next the re-application of both used stone and new stone utilizing Laticrete acrylic modified stone mortar.